The NUMBALUMS invite you to join us as an active, dues-paying member! Membership dues support the events, activities, and initiatives of the NUMBALUMS organization. You must be an active member in order to attend NUMBALUMS events, including Homecoming. Your rolling annual membership begins the day you register and expires one year later. 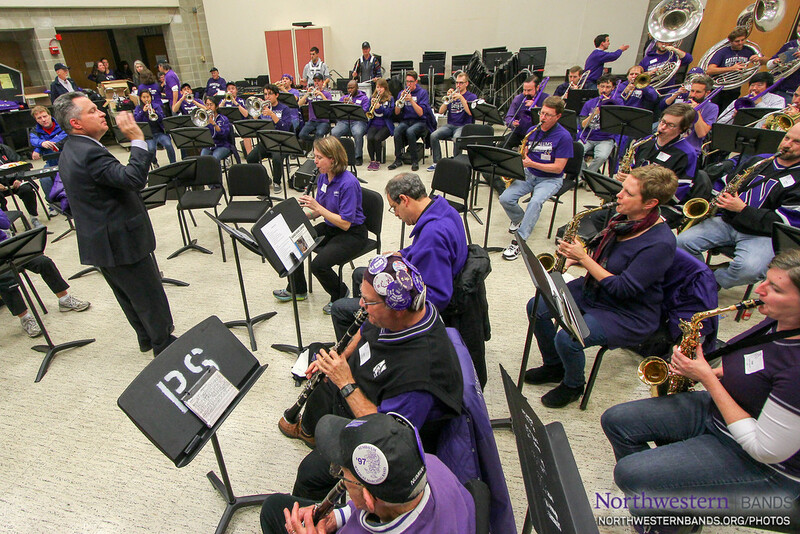 Northwestern University alumni are eligible for NUMBALUMS membership if they have one full season of participation in NUMB or NUBB, or at least one full academic year (three academic quarters) of participation in a University-sponsored performing band. Participation includes performance, conducting, and/or graduate-level assistance. The NUMBALUMS also offer booster memberships. Boosters are those parents of current students or any other interested individuals who have a desire to support this organization and the Northwestern Bands program, either by paying dues or by making a donation that is accepted by the board of directors. Boosters can attend any NUMBALUMS events and receive all club communications (including The Growl), but they are not voting members.